For contact details for individual lawyers and members of our team, please consult the Our Team page. 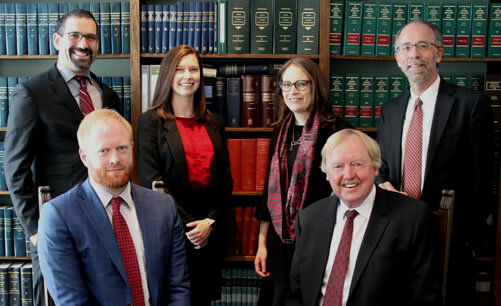 If you would like to retain Howard Kelford & DuBois LLP to give you legal advice, please telephone, email or write to any of our lawyers, who will be pleased to discuss whether or not our firm can assist you. Until we specifically agree to act for you on a matter, you should not provide us with any unsolicited confidential information or material. Unsolicited information and material will not be treated as confidential and will not be protected by any lawyer-client privilege. Our website provides general information on legal and related matters and should not be relied upon as legal advice. If you require legal advice, you should retain qualified legal professionals to advise you in the context of your particular circumstances.